LaRoc Cosmetics 10 Piece Diamond Bronze Makeup Brush Set features a comprehensive selection of makeup brushes that are ideal for both home or professional use. 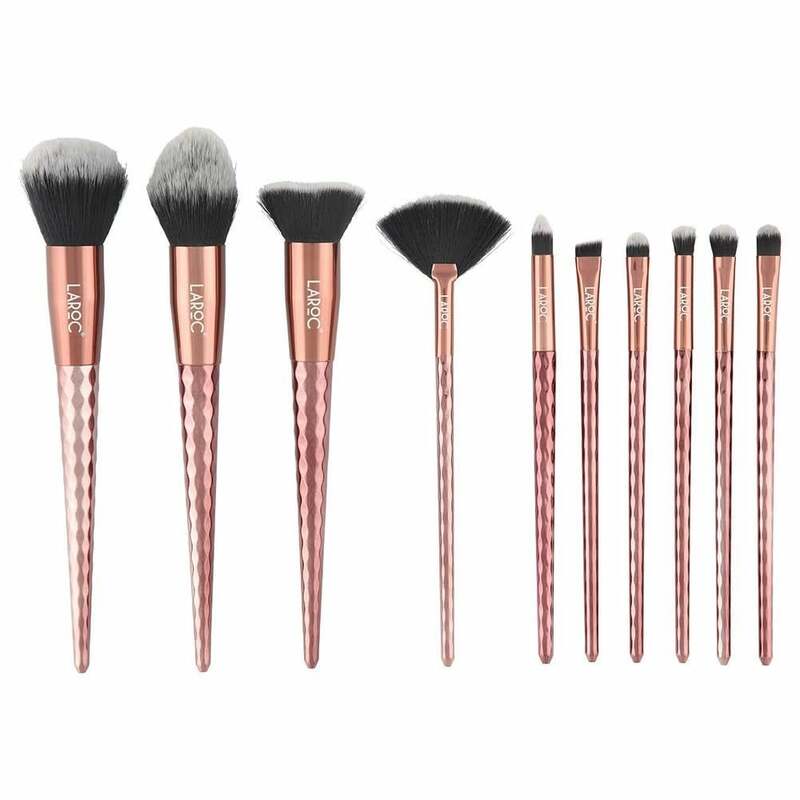 Create a range of striking makeup looks by using these versatile brushes which are suitable for applying loose powder, compact powder, blusher, eyeliner, concealer, eyeshadow, liquid foundation and creams. The bristles are ultra-plush and made from synthetic hair for a smooth, flawless coverage. The brushes also feature anti-shedding technology, to avoid bristles coming loose. Completely cruelty-free. Such a competitive price for a very good set of brushes. Very dense and good quality. I bought this set to add my existing sets and it has all the basic brushes you will need.